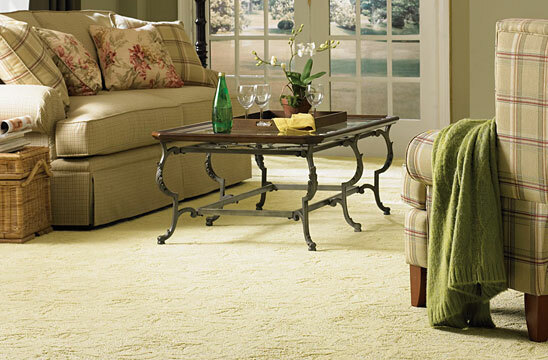 Décor Flooring, LLC is a full service floor coverings dealer serving the Carolina’s since 1984. Whether it’s a large residential community, commercial building, multi-family complex, renovation, or home owner replacement we carry a full line of products to meet your floor and window covering needs. A wide selection of carpet, tile, wood, stone, and blinds are available in our local showrooms. We look forward to helping you with your next project! We are pleased to bring you DESIGNeD., our online homeowner education tool. DESIGNeD. will tell your homebuyers how to best prepare for their design appointment, describe the features, benefits and limitations of the various selections available to them, list the requirements needed to maintain the finishes once installed, and ultimately enhance their design center experience. Carpet padding helps to protect carpet by elevating impact from footsteps and furniture. Increasing the overall lifetime by reducing the strain of wear and tear helps to protect your carpet investment. Padding can provide various other features to homes such as heat and sound insulation. Engineered hardwood floors are made with 3 or more thin sheets of wood cross laminated together to form a single plank. The top layer can be anything from exotics species of wood to Oak, and with growth in the past 10 years there is now a wide variety of finishes, widths, and thicknesses available. The oldest surviving carpet is over 2,000 years old. The Janka hardness scale describes the hardness of wood. It is among the properties to be considered when choosing hardwood flooring. It is the industry standard for judging the ability of various wood species to withstand denting and wear. The Red Oak, which has a Janka rating of 1290, is the industry benchmark for comparing the relative hardness of different wood species. Installing hardwood floors increases the value of your property. It is a great long-term investment and can actually become a strong resale feature, enabling a faster sale and bringing a higher price at the time of resale. Did you know the size of the grout joint determines whether you use sanded or unsanded grout? Anything less than 1/8” sanded grout is used and sanded grout is used in joints larger than 1/8”. Thank you for your interest in scheduling an appointment with us, a sales associate will be in contact to confirm a date and time.